The Holographic Damsel uses synthetic wraps to create a streamlined body shape that is representative of natural nymphs. 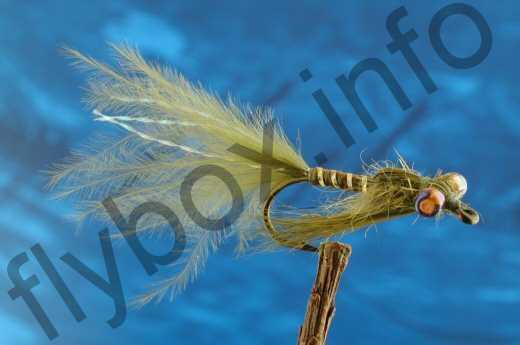 Tail : Olive marabou with three to six strands of pearl Krystalflash. Rib : Medium gold holographic tinsel. Body : Olive Glex-Floss, Life Flex or vinyl rib. Eyes : Olive beads threaded onto clear mono which has been burnt at each end. Currently there are no comments about the Holographic Damsel fly pattern from other fly fishermen yet.